Bohemian style is unfamiliar style which gives antique and gypsy look. The style is generally used by the people in their interiors by decorating it with knick knack materials and fabric textiles. 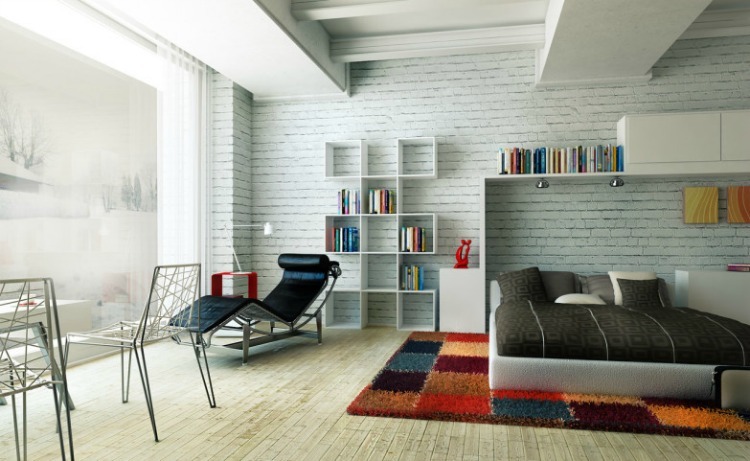 Here are few bohemian designs of bedrooms which can be helpful to design your interior. This style consists of handicrafts, natural fabrics and artistic elements. 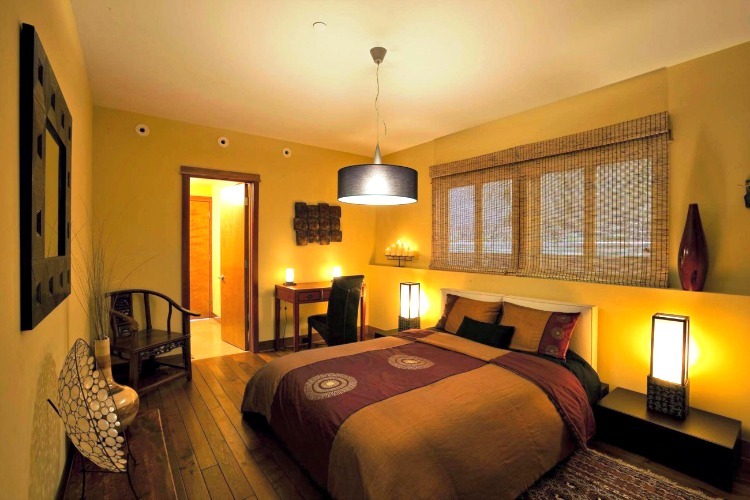 Bohemian style bedroom consists of bed made of wood, man made fabrics, lightings, chaises for seating. The flooring is made of wood it depends upon former style of bohemian or modern style. People like mostly modern style bohemian style which gives a classic look. In the view of the image you can see a former bohemian style master bedroom. The flooring is made of laminated hard wood and the false ceiling is dry wall ceiling with the light fixtures. The room has a storage bed under which chest of drawers are arranged where we can store accessories and it has a colorful pink bed, cushions and a wooden head board. There are night stands with lamps on it and has a timber bench. The interior has a table with a chair which can be used for reading book and has placed with decorative items. It has white framed glass windows which are covered with ambry fabric and also has indoor ornamental plants. This image views a modern bohemian bedroom which has a cozy atmosphere. The interior is decorated with snowy white and navy blue wall paper which looks amazing. The flooring is made of white ceramic tiles on which a textured carpet is laid. The room has a drum type chandelier attached to the roof and has a chaise for getting relaxed. It has many knick knack materials and has closets for storing books or necessary accessories. The room has night stand with the lamp on it and has photo frames mounted on the wall. It also has casement windows where we can view outdoor and can get fresh air. The false ceiling is made of ply wood ceiling plastered under structured ceiling and has simple light fixtures. A ceiling fan is attached to the false ceiling and the flooring is made of ceramic white tiles with a carpet. The interior has a dressing table with a chest of drawers for storing your adornments and the room has chairs for seating with a centre table for serving. The room has a chaise for taking a nap or for getting relaxed and has an simple yellow abstract painting. It also has night stand with a lamp on it and has casement windows. It has picture windows for viewing outdoor. The interior of the bedroom of bohemian style looks inky and is awesome. The room has a bed with striped coverlet and smooth cushions. The false ceiling is a drop out ceiling with plain light fixtures and the flooring is covered with carpet. The bed has long upholstered head board and night stand with lamps on it. 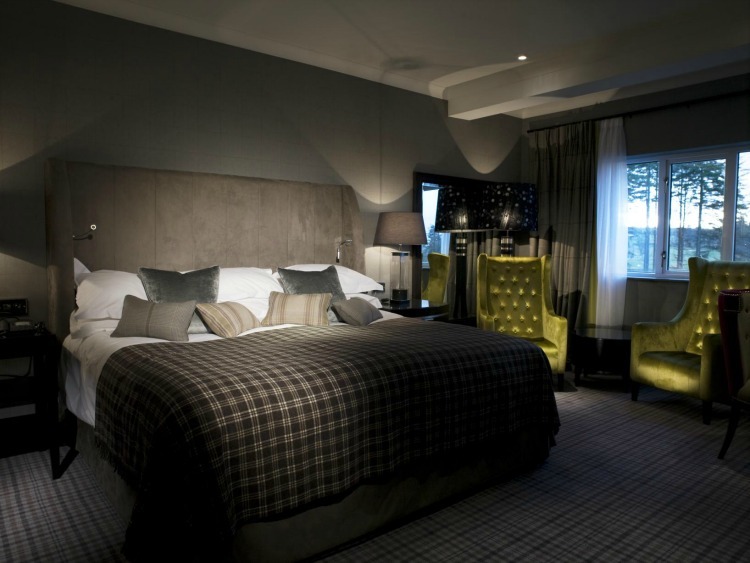 The room has chairs for seating and has extra large mirror which reflects the bedroom. It has casement windows for viewing exterior and is decorated with sheer curtains and tab top draperies. The false ceiling is a plaster of paris ceiling with suspensions under structure ceiling. The interior has brick cladding and has plenty of closets for storing books. The room has wooden panelling with ceiling lights mounted on it and also has photo frames attached to the wall. The room has a metal made chaise for getting relaxed. The interior also has iron chairs for seating and has bed with quilt, cushions and headboard. The flooring is made of white wood and has a multi colored carpets. The interior of the modern bohemian style bedroom in this image looks stunning. The false ceiling is made up of plaster of paris and can be moulded easily into definite shapes and has simple light fixtures. The interior is decorated with wooden cladding behind the bed and the bed is made of wood with quilt and cushions. The room has night stands with the lamps and has a leather bench. The flooring is made of textured vinyl flooring with a black velvet carpet laid on it. The room has a chaise for seating and chest of drawers for storing. It is decorated with eyelet curtains which creates a dramatic effect. This image views a opulent bohemian style bedroom and the false ceiling is dry wall ceiling with a drum type chandelier attached to the roof. The flooring is made of laminated warped wood and has a plush throw rug on it. The interior has casement windows which are covered with valances and has night stands with LED lamps. The bed has a headboard with a traditional look duvet and cushions. There is a table and chair which can be used for doing work or reading book and the closets are decorated with display items. The false ceiling is a dry wall ceiling with a coral chandelier attached to the roof and the flooring is of throw rug tiles which gives comfort to the barefoot while walking. The interior has casement windows which are covered with tab top draperies and the walls has photo frames mounted on it. There is a bed with long upholstered tufted head board with cushions and quilts. The room has a television for entertainment mounted on the wall and the room has chesterfield for storing embellishments. It has night stands with the lamp on it and has a bench for seating. In the view of the image you can see a bohemian style bedroom which acts as a sun room because the interior is decorated with the white framed double hung windows and refracts the sun rays into the room. The room gets natural light and creates a natural environment. The windows are covered with two finger pleated curtains. The interior has couch for seating and has a coffee table for serving. There is a bed with leather made headboard and has duvet and cushions on it. The room has chest of drawers for storing adornments and has a round glass table with a lamp on it. 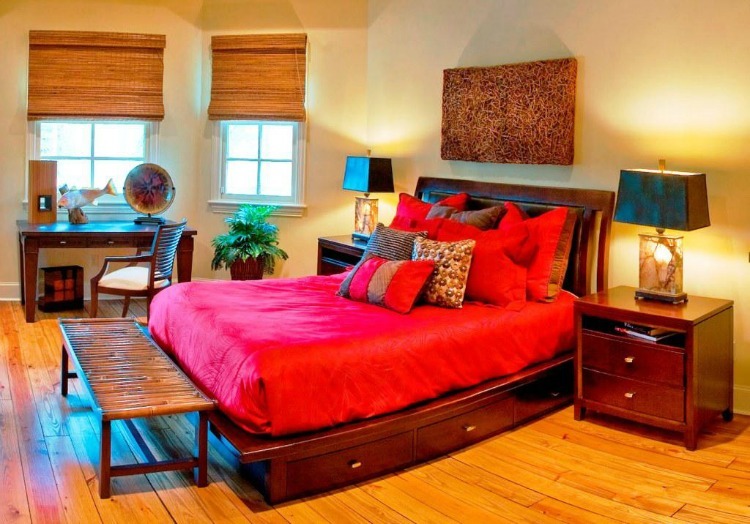 In the view of the image you can see an outstanding bohemian style of master bedroom. The interior is decorated with monochromatic color and the false ceiling is pop ceiling with plain light fixtures. There is a ceiling fan attached to the roof and the flooring is decorated with velvet plush carpet. The room has windows with white blinds which are covered with sheer curtains. The interior has chairs and a comfy sofa for seating. There is a bed made of wood and has stools made of leather. It has night stand decorated with lamps, flower pots and a painting is mounted on the wall.